Jackie Chan - A True Super Star! 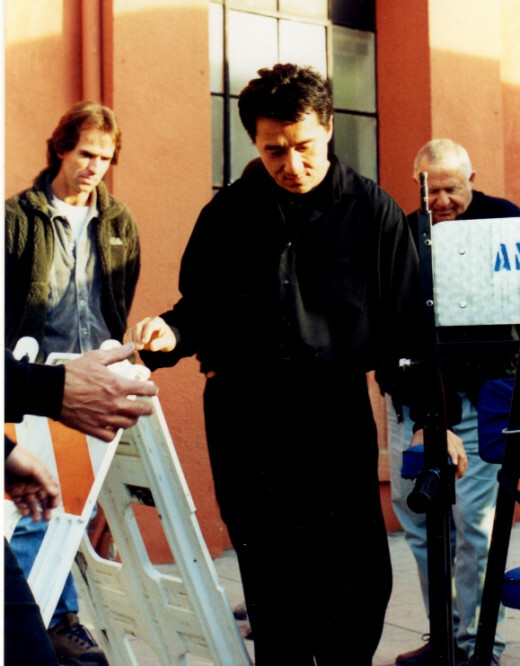 All photos for this article were taken exclusively by Brian Gray while on the set of the movie "Rush Hour" in 1998. 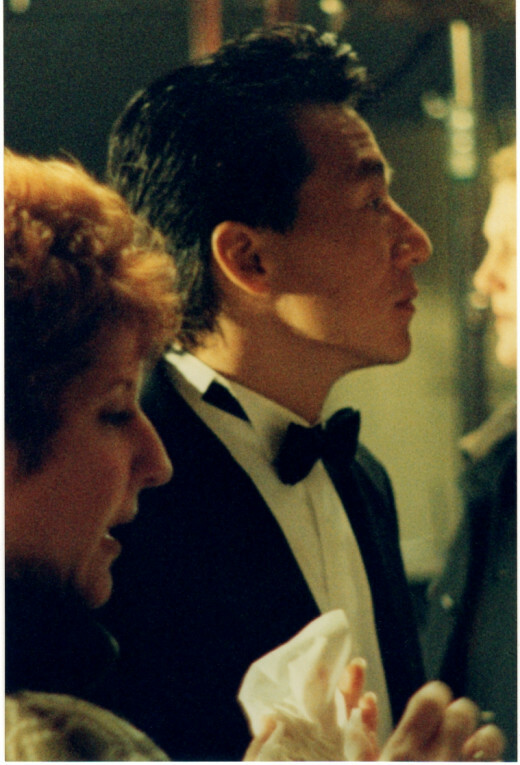 Jackie Chan And Brian Gray On The Set Of "Rush Hour"
I can remember it like it was just yesterday. The year was 1972. A friend came running in to tell me, excitedly, that a television show was going to air, and it was titled “Kung Fu.” My friends and I, being practitioners of what was then, in America, a very secretive art called Chinese Kung Fu, thought that this was some sort of misunderstanding on his part, that it was probably some cooking show dealing with Chinese food that was going to debut. After all, Japanese Karate was everywhere, a virtual household name, but only those who were privy to the Chinese community knew anything about this ancient art that is the father of all martial arts. So, upon hearing that there would be a television show with the name of our relatively unknown art as its title, we were all certain that it just had to be a cooking show...and they probably wouldn’t even have the name right. “No,” he insisted, “It is definitely Chinese martial arts...Kung Fu!” The rest of us were understandably incredulous, but the night that show aired, we were extremely happy to be wrong. Even the typically unemotional Chinese grandmasters in the various Chinatown Kung Fu temples did the unthinkable and tuned in. The show, with David Carradine as the Shaolin Temple monk, Kwai Chang Caine, Philip Ahn as Master Kan, Keye Luke as the unforgettable sage, Master Po, and Radames Pera as the young Kwai Chang, was an overnight sensation garnering such unheard of viewer numbers that it became the number one hit of America. Overnight, the impact was such that some Karate schools actually changed the names on their schools to read Kung Fu. 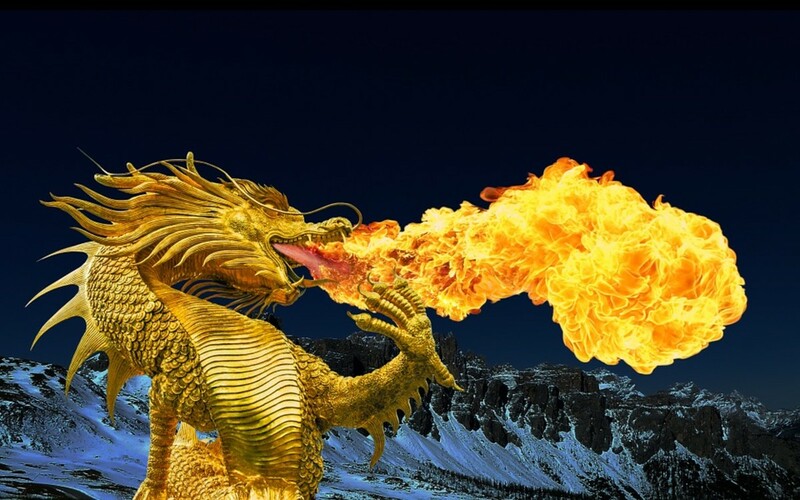 The unrivalled interest in all things Kung Fu reached a fever pitch, and Bruce Lee’s movies, “Enter the Dragon,” “The Chinese Connection,” and others, added to the feeding frenzy, breaking box office records. 1972 was the year for Kung Fu practitioners. They could go to the movies and watch their hero, Bruce Lee, on the big screen, come home and tune in to an episode of “Kung Fu,” and martial arts tournaments finally started recognizing martial artists who did not practice Karate. But in 1973, Bruce Lee died unexpectedly and unexplainably. The tragic loss meant that many studios spent millions of dollars over the next few years trying unsuccessfully to find Bruce’s replacement. But every Chinese martial artist that they trotted out as a substitute, even a few Japanese and Koreans, could not match the inescapable charisma that Bruce Lee had always radiated on the screen. There was something palpable about Bruce that was immediately discernible when he was on the screen and severely lacking when someone else was trying to act like him. With film flop after film flop, the big American studios figured that the Kung Fu craze was over. They stopped producing Kung Fu movies, and in 1975, even the television series by the same name was cancelled. American martial artists were still hungry for someone to step into the void left by Bruce Lee’s untimely departure. It would be a few years, but a star was coming to the rescue. His name? Jackie Chan. Surprising to some, he was a stunt man on the set of Bruce Lee’s movies “Fist of Fury” and “Enter the Dragon” when he was just seventeen years of age. Jackie told me that he and Bruce had actually gone bowling together in Hong Kong the week Bruce died. Maybe the torch was passed. Maybe Jackie was to become that martial arts hero we were all waiting for. In 1978, Jackie made a film, “Snake in the Eagle’s Shadow,” and the word was out. People were paying attention. “Big Brawl,” another great film showcasing Jackie’s inimitable style, cemented the idea that we indeed had a new pope. America fell in love with Jackie, and even though Jackie used a different approach in his films, comedy as opposed to Bruce Lee’s drama, it worked. Incredible skill, lightning fast punches and kicks, and where Bruce Lee tended to stand his ground and fight his opponents with an intensely intimidating stare down and a deadly spinning back kick or knockout fist, Jackie Chan was literally all over the place, bouncing off walls, catapulting over his attackers’ heads, swinging from roof tops...he just did NOT stand still. And something else, there was that signature, omnipresent tactic of Jackie’s to make any fight scene more complicated than it had to be. Jackie could not just walk down a flight of stairs, he had to somersault over the railing. He couldn’t just push a ladder out of the way, he had to make it a prop from which he would wedge himself and proceed to successfully and unbelievably win his fight. Jackie didn’t climb down from roof tops, he jumped. Jackie didn’t wait till a train passed, he leaped over it, or defied death and crawled around under it, all the while that he was defying death, Jackie was making comedic facial gestures that rivaled Laurel and Hardy. He had everybody on the edge of their seats and laughing at his manic antics, all while gasping at the knowledge that Jackie did indeed personally do those death-defying stunts that were featured in every movie. Jackie and I were once sitting on a patio while he took a break from his filming, and when it came time for him to go back on the set, Jackie completely ignored the convenience of the nearby steps and simply executed a back flip from a seated position, running off to the set like it was normal. Jackie is the real deal, as we say in this country. He is not the product of special effects. 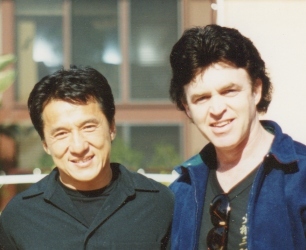 Back in 1998, I had the great pleasure and good fortune of writing a magazine article featuring Jackie Chan, and it meant that I would spend the day with him on the set of a new movie he was filming, “Rush Hour.” It was an indescribable honor to meet Jackie and one of the most memorable days I have ever spent with any celebrity that I have ever known. Jackie lived up to all that I had read and heard about him...and more. 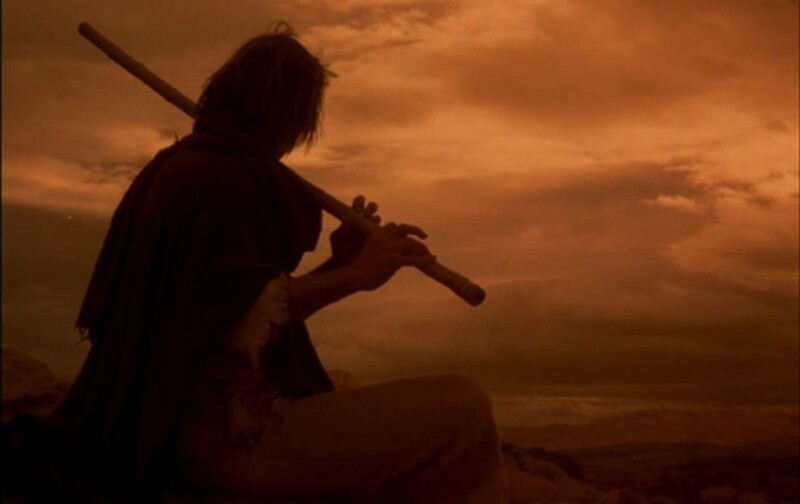 I had the utmost respect and admiration for him, having studied Kung Fu since I was a child, and when I was an adult and out on my own, I would often go to Chinatown, New York, and spend the day watching Chinese Kung Fu movies in the Chinese theaters. Like all fans, I had my favorites, Bruce Lee, Ma Fu Sheng and Jackie Chan. Bruce died suddenly, shockingly and unexplainably, then Ma Fu Sheng followed Bruce by dying in a heartbreaking and tragic car accident in Hong Kong. I could not bear the thought that we might somehow lose the last of those incredible three, Jackie Chan. If I could tell Jackie anything, it would be, “Please don’t do anything crazy. We cannot bear the thought of losing you.” But Jackie, ever the perfectionist and ever the daredevil who craves pushing that safety net, had his close calls with death, too. More than once, Jackie has cheated death, surviving when he was expected to die. He has probably had more broken bones than any star in Hollywood. It was Wednesday, January 7, 1998. I had gotten the call to be on the Hollywood set at 9:30 a.m., the set being an apartment complex not far from Hollywood and Vine. I arrived on the set with two of my assistants, Donna Gilbert and Tim Duhe. Jackie’s very kind and jovial manager, Willie Chan, met me and introduced me to Ken Lo, who was standing beside him, an Asian actor who towered over my not-so-short six feet in height. Ken was memorable as the menacing villain in another of my favorite movies, “Drunken Master II.” After a few moments with Ken, Willie showed me where my assistants and I could sit and directed me to a place where I could watch the scene that was being filmed. The set was an apartment complex with a swimming pool. The scene that they were filming was taking place on a second-floor open stairwell. Jackie would come up the stairs, face the door, which was to my left, and simply knock. For whatever reason, director Brett Ratner had Jackie repeat that scene nearly thirty times. It did not matter to me, because each time Jackie came into my sight line, I was all eyes and ears. I looked at no one else, I spoke to no one else. Jackie was working, and I was intently watching my hero. I owed him that respect. When they wrapped that scene, and Jackie came downstairs to where I was sitting, he was angry, extremely angry. All I could think to myself was, “What did I do wrong?” Here I was finally facing one of my favorite people on the planet, and he was visibly angry. I thought that, any minute now, he was going to say something horrible and ask why I was there bothering him, he was just that visibly upset. Pacing back and forth a bit, muttering out loud, Jackie said, “I want to go back to Hong Kong!” I soon found out, much to my relief, that he was not angry with me...he was angry with Brett Ratner for making him film that simple scene thirty times. “Thirty shots for one scene!” Jackie fired the words. “A director should know editing, not just directing. If he knows editing, he can shoot a scene in less takes. Twenty, thirty takes to shoot me knocking on that door! Ridiculous!” I was relieved. He wasn’t angry at me. I was nodding my head in agreement as he went on to explain that, in Hong Kong, everybody does more than just one job. Everybody does everything. Jackie got to vent in front of a person who was in total agreement with everything he had to say, and with time, he eventually got on to another subject, and we began to talk. Jackie would never find a more receptive person to talk to than me. I had studied Jackie like a college course, so I knew him better than the average fan. Some things about Jackie’s life intrigued me more than others. We talked about Bruce Lee for a bit. “What I believe,” said Jackie, “my own philosophy, is that I do the movie not like Bruce Lee. Bruce Lee is more of a superhero. He stands there, boom, boom, boom...kicking...so, in my movies, very few of my movies, you see me kicking. Why? Because I don’t want to copy Bruce Lee. I want my own style. 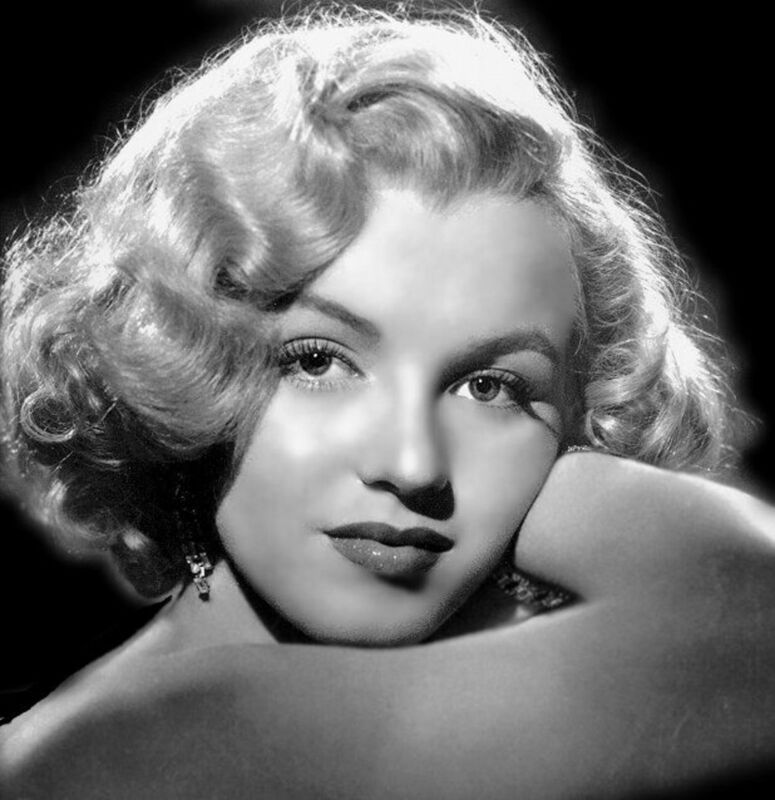 And I want to do more things, difficult things that, on the screen, I make look easy, but they are still difficult enough that, when you watch my movie, you say, ‘Wow! How does he do that?’” Jackie succeeds in doing exactly that with a rare combination of daring and charisma. “Do you know the word ‘charisma.’?” I asked. “Yes,” he nodded. “You have charisma,” I said with complete honesty. “In the theater, when you smile, the whole theater lights up.” Jackie flashed that famous smile, and I reveled in the moment. Who could not like this man?! Although Jackie keeps a bit of a wall up around himself, for that moment I felt like he had allowed me inside that wall, a genuine honor. Jackie’s smile is a barometer of sorts for those who watch his outtakes, famously shown at the end of each of his movies. We see him get hurt, everybody in the theater leans forward with tangible anticipation. Jackie gets up, dusts himself off, flashes that familiar smile, and we hear a collective sigh of relief and a nervous laugh as everyone is reassured that their hero is safe. Jackie has smiled. He is okay. There are few actors who can elicit that kind of response from an audience. Perhaps it is because he works so hard to please his audience. “In Hong Kong, in Asia, a lot of actors, action actors,” Jackie laments, “they don’t care about movies, they care about the money. 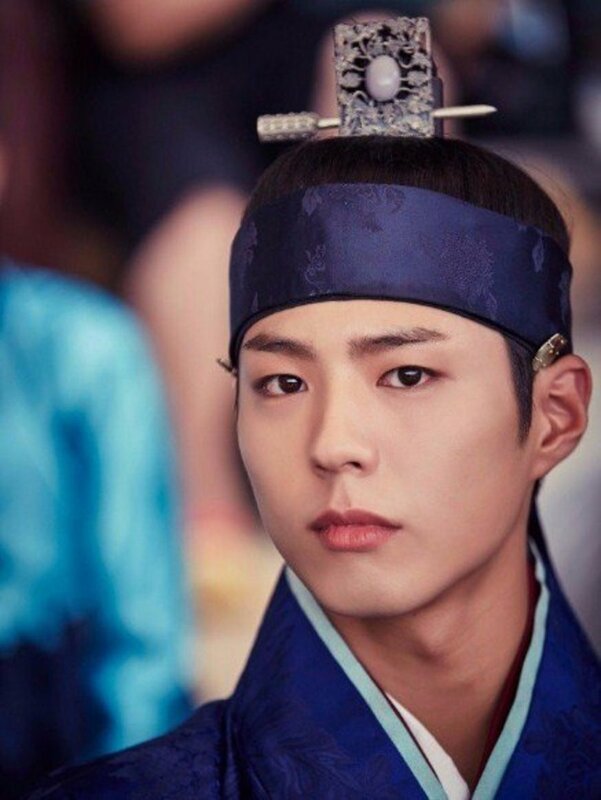 They go on the set, the first thing they ask is, ‘When am I finished?’, ‘When can I rest?’ The fighting scene is as short as possible. During a long shot - ‘Do we have a double?’” “They don’t treat the movie like it is part of themselves, they treat it like it is a business,” Jackie explains. “Me, I am different. I treat the movie like it is myself. Even if I am not directing, I totally control the director. I want to do this, I want to do that. I really want to show (Jackie pauses pensively)...I want to show the audience what I can do, what is martial arts. And I want to show the Jackie Chan philosophy, that I really can beat one person; ten people coming, I’ll turn around and run away.” I laughed. So comedic, so true. What martial artist does not want to make it look like he is invincible? It takes a confidant man to look at fight scenes the way Jackie does. Jackie likes reality in his movies. “Big guy coming...” Jackie says, and pantomimes a Buster Keaton look of awe and a “What-am-I-going-to-do-now?” expression. I bust out laughing. Almost defensively, Jackie says, “That’s the truth. No matter how good you are, how powerful you are, big, giant guy, how are you going to kick him, with just one kick and knock him down? That’s impossible. In my movies, I like to make something reasonable. Situation comedy, situation fighting. If a lot of people are fighting with me, I cannot knock them down...I run away. I run up and down, then I turn around, one kick, okay. That’s the way I want to show to the audience and show the children, because there’s too many children who watch my movies. They learn from me. So, this way, I want to show them good things.” Jackie apparently cares about children and is very careful about the image he now generates in public. Later in the day, he mentions the reason he made “Drunken Master II” was that the first “Drunken Master” movie gave children the wrong impression that drinking and fighting were okay. He wants them to know that drinking and fighting are wrong. Willie Chan has said that Jackie is a workaholic, and I believe this. From what various people have told me, the stories confirm that he is non-stop. Michaelangelo, from the “Ninja Turtles” movie, stopped by while I was on the set, and we chatted between scenes. “Oh yeah,” he affirms, “when we were filming “Rumble in the Bronx,” we would play hackey sack after shooting, or Jackie would be out there pulling cable with the crew, or he would grab a broom and sweep something up.” When other people are in bed asleep, Jackie is up studying. He speaks Korean, Thai, Japanese, English...never stopping, always in third gear, that’s Jackie Chan. Jackie says the energy can be traced to “movies, I love movies.” During the day, it becomes more and more apparent to me that this is indeed the source of what motivates Jackie. He eats, sleeps and drinks movies He may digress during his conversation, but only when you lead him there, and then, boom, he’s back to discussing something about movies...his raison d’etre. He is also a perfectionist. If Jackie tells you to do something, he will check behind you to see that it was done properly. If he asks you to edit something, he will usually end up re-editing it himself. He has little patience for those who have not done their homework. When it comes to having a right to be here, at this point in his life, Jackie did his homework. With Jackie, Who Ever Wants To Say Good-Bye? Jackie is such a giving person, always looking out for others. When does this super-star ever take time for just his own personal needs?! Outside of the Dalai Lama, I’ve never met a more selfless person. One moment that happened while I was on the set really stands out in my mind as testimony to Jackie’s true mega-star greatness and, simultaneously, his equally mega-star selflessness. It was time for lunch, and Willie came to get Jackie. I so did not want interview to end, and I cleverly explained that I would just need a little more time after lunch, if that were possible. Jackie agreed, and I was overjoyed. As Jackie and Willie headed off to the area where the catering service was preparing meals for all of the actors and crew, I rounded up my two assistants and headed up to Hollywood Boulevard. We would find a restaurant and have lunch, returning to the set to finish the interview with Jackie once they were finished with their lunches. But, as I headed up the street, I could hear someone yelling, seemingly at me. Puzzled, I decided to ignore it, thinking that it couldn’t have anything to do with me. After all, who knew me in that neighborhood? Jackie, that’s who! He was yelling, “Hey! Where are you going?” There was no way I was going to intrude and have lunch at anyone else’s expense. That was just not the way my father had raised me, so I turned to face Jackie, who was about a hundred feet a way and walking rapidly toward me. I sensed immediately that he was going to say that I should eat there with the rest of them, but I did not think that would be polite on my part. By now, everybody was looking, and I had inadvertently become the center of attention. They all wanted to know who Jackie was yelling at, and why. Slightly embarrassed, I tried to stop Jackie from having to walk all the way up to where I was, so I called back, “We’re just going up to a restaurant.” Jackie never stopped walking toward me, and Jackie never took my protestations for an answer. Before I knew it, there was a very strong arm around my waist, and Jackie was ushering me to the catering truck. I don’t know too many people who can say that they were “forced” to eat lunch with Jackie Chan. Forced? Did I look forced? If I acted “forced,” I get the Oscar. Thank you for those kind comments. It's great to hear from people who enjoy my articles. Your words were truly appreciated. A highly enjoyable and entertaining read. Something must be going right with this world after all, having wonderful people like you who are so great with words and expressions and insights to interview no less wonderful people like Jackie and the Dalai Lama! Thank you for that kind comment. I'm glad you enjoyed the look behind the scenes. Jackie is still high on my list of wonderful people. What a delightful hub Brian, especially to a true Jackie Chan fan like myself. You gave a great insight into life behind the scenes with Jackie and to his true greatness. Thank you for sharing. I am envious :) Voted up.